"Mr. Darrow will refer to the widowed mother, and the brother of this prisoner, and tug at your heart-strings, that your sympathies may be aroused and overwhelm your judgment. He will picture to you the scene of a heart-broken, widowed mother, and the discouraged brother. All of that Mr. Darrow is exceedingly able to do. In that lies their only hope in this case, that the administration of the law shall be defeated." "Gentlemen, it makes my blood boil with indignation to think of the damnable course of these men who disgrace the medical profession; these men who have used a high and divine calling, that of saving of human life and the alleviation of human pain, who are called here by these attorneys, and who went into that jail, imposing upon this poor, weak mind, who got his confidence through deceit and lies, and then after that failed to ask him the very things that would manifest his state of mind. They had no right not to know his condition. . . . Ah, but gentlemen, these so-called doctors went into the prison pen of that poor boy as a ferret goes down into the hole of a rabbit, to drag forth their victim. They asked their questions as a hunter would set a snare to catch a bird and they used the power of the State and their superior intellect and learning, not to find out whether the State was about to make a sacrifice in the shape of a miserable victim, but to find excuses to salve your conscience, stultify your intellect, overcome your reason and help in the erection of a scaffold and the tying of a rope." Copies of handwritten letters written by Patrick Eugene Prendergast both before and after the assassination of Mayor Carter Harrison Sr. Courtesy of the Archives Department of the Clerk of the Circuit Court of Cook County, Illinois. Copy of handwritten jury verdict and sentence. Courtesy of the Archives Department of the Clerk of the Circuit Court of Cook County, Illinois. Original transcript of address to the jury by Mr. Harlan, Mr. Todd, Mr. Morrison and Clarence Darrow. Darrow's arguments start on page 1049 of the transcript, which is page 130 of this document. Illinois Criminal Code, Chapter 38, Sec. 285. "Becoming insane." This provision of the Illinois Criminal Code in effect in 1893 provided that if the accused became lunatic or insane after judgment but before execution of the sentence, in the case of capital punishment, the court was required to impanel a jury to decide whether the accused was insane or lunatic at the time the jury was impaneled. The Prendergast Case, S.H. Dent, Jr. Esq. 1894 article in The Criminal Law Magazine and Reporter that discusses the legal aspects of adjudicating Prendergast's sanity after he was convicted but before he was executed. Contemporary article by a medical doctor about medical expert testimony and insanity in the Prendergast case. Published in The American Law Register and Review. An account of Mayor Harrison's assassination and a brief biography of his life. The front page of the Chicago Daily Tribune on December 30, 1893 focused on the Prendergast trial. This page of the Tribune includes the following reports related to the Prendergast trial: "Judge Brentano Will Not Talk: He Does Not Care to Venture Any Opinion Upon the Case," "Miss Howard's Brother Speaks: He Is Surprised the Trial Lasted as Long as It Did," and "Chauncey Depew Is Gratified: Chicago Does Well to Convict Prendergast - Russell Sage Talks." Coverage of the Prendergast case in the Chicago Sunday Tribune on March 25, 1894. A short news article describing Prendergast's assault on a prison guard. Article is in the center right of the page. From the Daily Herald, Brownsville, Texas. Short newspaper article in the Daily Herald (Brownsville, Texas) stating that the assassination of French President Carnot "has added fresh interest to the case of Carter Harrison's murderer" because Prendergast's insanity hearing was underway and it was believed that Carnot's assassination would have an effect on the Prendergast jury. Marie Francois Sadi Carnot (1837 - 1894) was a French statesman and the fourth president of the Third French Republic. He served as the President of France from 1887 until his assassination in 1894. 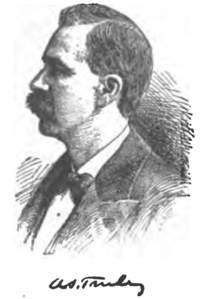 The July 13, 1894 Chicago Daily Tribune announced that Prendergast would be executed. This article appeared on the front page of the Chicago Daily Tribune on July 14, 1894. Report on Prendergast's execution in the Salt Lake Herald. First published in 1879, this is Henry George's most influential work. Progress & Poverty made George famous and started a political movement in the United States built around his work. Later George almost won election as mayor of New York. Best known for his economic arguments in favor of a "single tax" on land, George believed government should be funded only from this one tax. George's single tax would be on the unimproved value of land - the value of the land in its natural state without any man-made improvements such as buildings. This was not an entirely new concept, as George borrowed from the works of David Ricardo, James Mill, and John Stuart Mill. 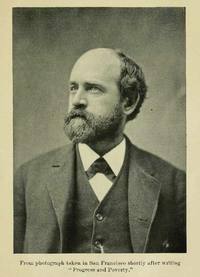 Both Patrick Prendergast and Clarence Darrow were ardent supporters of Henry George and his single tax theory. According to Milton Friedman: "In my opinion, the least bad tax is the property tax on the unimproved value of land, the Henry George argument of many, many years ago." Part I of this book is a compilation of Harrison's letters about his travels to Alaska. The letters were originally published in the Chicago Tribune. This excerpt includes a brief description of Patrick Eugene Prendergast. A review of the book stated, "[W]e know of no American who has made so many personal observations and measurements on the defective classes, and he is entitled to great credit for his work." This section of Dr. Christison's book discusses his examination of Prendergast in jail. Dr. Christison did not testify during the trial but he concluded Prendergast was insane. The book consists of compilations of a series of articles the author wrote for the Chicago Tribune. The author was formerly of the New York City Asylums for the Insane. "The Life of Henry George"
This book was written by Henry George, Jr. This excerpt from Brand Whitlock's autobiography describes the first time Whitlock met Clarence Darrow. They had both gone to see Lieutenant-Governor Joe Gill to ask him to spare Prendergast's life. This book is an attempt to "give a complete account of the Single Tax movement in the United States, together with a discussion of the tactics of the Single-taxers, their programme, the present status of the movement, and its influence upon economic thought and upon fiscal and social reform." Handwritten note from Clarence Darrow to a court bailiff, requesting that Mrs. Darrow be admitted. The note appears to be for the Prendergast trial. From the Clarence Darrow Papers. Shall Insane Criminals be Imprisoned or Put to Death? by J.B. Ransom, M.D. This article about medical expert testimony in criminal trials, especially murder trials, uses the Prendergast case to illustrate the author's viewpoint. The author concluded that Prendergast was insane. Published in the "Transactions of the Medical Society of the State of New York" (1895). 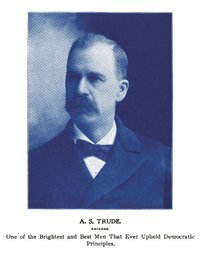 A short biography of Alfred S. Trude, the chief prosecutor against Patrick E. Prendergast. Published in "The National Cyclopaedia of American Biography" (1910). 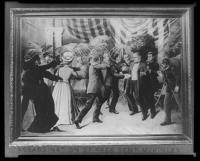 In 1893, Chicago's mayor Carter Henry Harrison, Sr. was immensely popular. 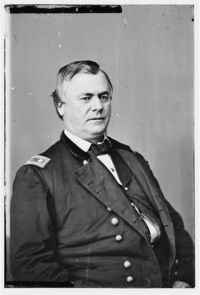 He was the most successful politician in the history of Chicago up to that time, having served as mayor for five terms (1879, 1881, 1883, 1885, 1893). Born in Kentucky on February 15, 1825 he moved to Chicago in 1855 in part because he hated slavery. Photo taken between 1870 and 1880. Library of Congress Prints and Photographs Division, LC-DIG-cwpbh-03799. Carter H. Harrison at age 55. 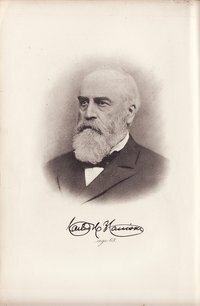 In 1893 Mayor Harrison was 62 years old and besides being mayor he was also a successful businessman who had achieved the milestone of being a millionaire. Among his business adventures, he owned The Chicago Times. This was an especially exciting time for Mayor Harrison. Besides the upcoming closing ceremony for the World's Fair, he was also looking forward to getting married to his 25 year-old fiancee Miss Annie Howard of New Orleans, who reportedly was worth three million dollars. They were to be married on November 16, 1893. This was to be Carter Harrison's third marriage. His first wife died in 1876 and his second wife died in 1887. Carter Harrison was born in Lafayette County, Kentucky on February 25, 1825. He graduated from Yale College in 1845. He served as mayor of Chicago from 1879 until 1887 and was later elected to a fifth term in 1893. A.S. Trude prosecuted Patrick Eugene Prendergast for the murder of Mayor Carter Harrison. Drawing from "The National Cyclopaedia of American Biography" (1910). Marie Francois Sadi Carnot was a French statesman and the fourth president of the Third French Republic. 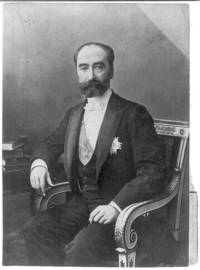 He served as the President of France beginning in 1887. On June 24, 1894, while Prendergast's sanity hearing was underway, Carnot was stabbed by an Italian anarchist named Sante Geronimo Caserio. Carnot died just after midnight the next day. The Daily Herald of Brownsville, Texas noted that the assassination of French President Carnot "has added fresh interest to the case of Carter Harrison's murderer" because "[i]t was freely predicted in the courtroom that this later slaying would have its effect on the Prendergast jury, the members of which are not denied newspapers, and that material would be found in the person of Prendergast for an example to would be assassin." Library of Congress Prints and Photographs Division, LC-USZ62-49337. 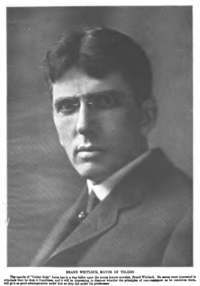 James S. Harlan (1861 - 1927) was a lawyer and son of United States Supreme Court Justice John Marshall Harlan. Clarence Darrow worked with Harlan and Stephen S. Gregory in the sanity trial of Patrick Prendergast which began on June 20, 1894. Harlan later served as the Attorney General of Puerto Rico from 1901 to 1903. He became a member of the United States Interstate Commerce Commission in 1906 and became chairman in 1914. From the "Assassination of Carter Harrison." Lead prosecutor Alfred S. Trude asking the jury to sentence Prendergast to death. From the book "The Etiology of Osseous Deformities of the Head, Face, Jaws and Teeth" by Eugene Solomon Talbot. George W. G. Ferris built the first Ferris Wheel for the 1893 Chicago World's Fair to prove that America could top the Eiffel Tower. During planning for the fair, Alexandre-Gustave Eiffel offered to build a tower larger than the one he had built in Paris but the planning committee insisted the work be from "American genius." 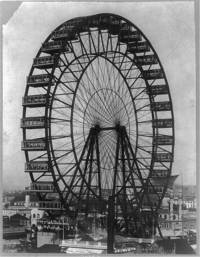 The giant wheel had 36 cars that could hold 60 passengers for a total of 2,160 passengers at a time and was as high as a 26 story building. Library of Congress Prints and Photographs Division, LC-USZ62-50927. 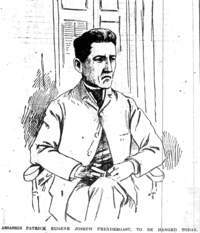 Drawing of Prendergast from newspaper. Drawing from study about Prendergast published in the "Transactions of the Medical Society of the State of New York" (1895). 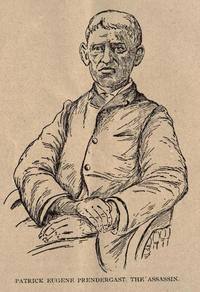 The author placed much emphasis on Prendergast's physical appearance and concluded that he was insane. Photo from "Crime and Criminals" by John Sanderson Christison. Alfred Samuel Trude was the lead prosecutor against Prendergast. Trude was not a prosecutor by trade. For more than 27 years he was a defense attorney for the Chicago Tribune, defending the newspaper from libel and tort suits. He also defended the Chicago Times for 10 years and defended the Inter-Ocean and other papers. Trude was general counsel for the Chicago City Railway company for 15 years and a trial attorney for the Chicago & Alton Railroad company for 10 years. He was a delegate to the Democratic National Convention in 1896. Trude served on the Board of Education in Chicago for a number of years. He was born in Devonshire, England in 1846. His parents emigrated to the United States shortly after he was born. 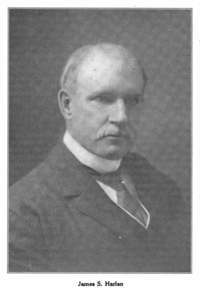 Photo from the Illinois Political Directory (1899). 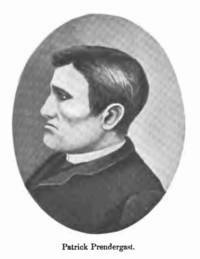 The closing arguments in the proceedings to determine whether Prendergast was insane were held on July 2, 1894. Each side was given three and a half hours to argue to the jury. James S. Harlan opened for the defense. He was followed by Todd and Morrison for the prosecution. Clarence Darrow then gave the final argument for the defense. 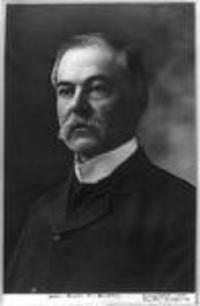 James Todd was an Assistant State's Attorney for Illinois and helped prosecute Patrick Prendergast. 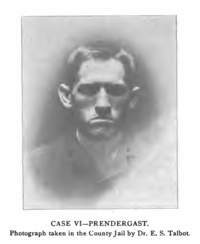 Todd gave one of the prosecution's closing arguments during Prendergast's sanity hearing on July 2, 1894. 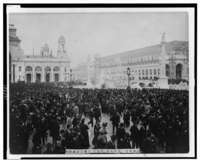 Crowds of people at the opening day of the World's Columbian Exposition, Chicago, Illinois. Library of Congress Prints and Photographs Division, LC-USZ62-125751. 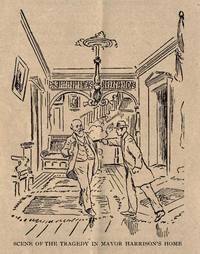 On October 28, 1893 at 8:07 p.m., Carter Henry Harrison was shot at his residence, 231 Ashland Boulevard. He died at 8:47 p.m.
Richard Oglesby, the former Republican governor of Illinois, was a pall bearer for Mayor Carter Harrison, Sr.'s funeral. Oglesby was a major general in the Union Army during the American Civil War. Library of Congress Prints and Photographs Division, LC-DIG-cwpb-05642. Leon F. Czolgosz shoots President McKinley with a concealed revolver, at the Pan-American Exposition reception in Buffalo, N.Y on September 6th, 1901. "I did undertake to save the life of a poor demented imbecile who killed the first Carter Harrison while he was mayor of Chicago, and I did not succeed; but he had been tried and sentenced and the case had been affirmed by the Supreme Court, when, with two fine lawyers, S. S. Gregory and James Harlan, I ventured to save him on an inquest of sanity, and we failed. Every one believes now, and most people believed then, that he was insane and idiotic; but he had killed a mayor, as another crazy man had killed President James A. Garfield, and was promptly hanged for the deed; but the execution of Guiteau, who was plainly insane, did not prevent another lunatic from killing President McKinley. In all these cases the people of course wanted the killer put to death, and the voice of the people is the voice of their God." The Story of My Life at 425-26. Date Created/Published: c1905. Library of Congress Prints and Photographs Division, LC-USZ62-5377. Newspaper drawing of crowd gathered outside home of Mayor Carter Harrison the day after his assassination. 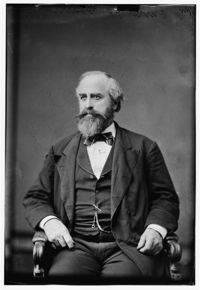 Both Clarence Darrow and Patrick Eugene Prendergast were admirers of Henry George and his Single Tax policy. This photo was taken shortly after George wrote his most famous work "Progress and Poverty" in 1879. 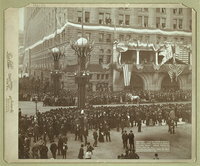 Parade for the Columbian Exposition World's Fair in Chicago. 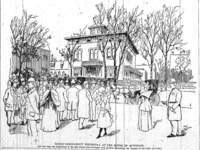 Dedication ceremonies were held on October 21, 1892, but the fairgrounds were not actually opened to the public until May 1, 1893. The fair closed on October 30, 1893. Library of Congress Prints and Photographs Division, LC-DIG-ppmsc-02571. 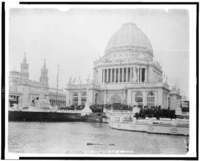 Dedication Day of World's Columbian Exposition on Oct. 21, 1892. Library of Congress, LC-USZ62-99660. Clarence Darrow hated Sunday Blue laws that required the closure of businesses on Sundays. In 1893 he debated the issue "Shall the World's Fair Be Open on Sunday?" at the Sunset Club where he was a member. 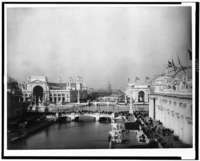 When Congress appropriated money for the Chicago World's Fair it required the fair to be closed on Sundays. The Fair's directors returned the federal money so they could be open on Sundays. Library of Congress Prints and Photographs Division, LC-USZ62-128873. Library of Congress Prints and Photographs Division, LC-USZ62-104795. 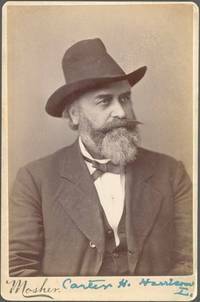 Fred Thomas Dubois (1851 - 1930) served two terms as a United States Senator from Idaho. He served as a Republican then switched to the Democratic Party. He was best known for his opposition to the gold standard and his work to disenfranchise Mormon voters. For several weeks prior to the assassination of Mayor Harrison, Prendergast wrote letters to Senator DuBois about the "Silver Question" which involved the monetization of silver. Library of Congress Prints and Photographs Division, LC-USZ62-54438. Brand Whitlock (1869 - 1934) was a lawyer, politician, municipal reformer, diplomat, writer and newspaper reporter. Between 1905 and 1911 he was elected mayor of Toledo, Ohio four times as an Independent. 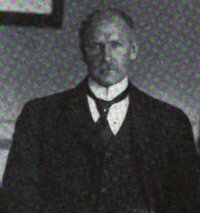 In 1913 Whitlock was appointed Minister to Belgium by President Wilson. Whitlock's efforts to help Belgium during World War I would earn him legendary status in that country. Clarence Darrow was friends with Whitlock. They first met when both of them had independently gone to see Lieutenant-Governor of Illinois Joe Gill to ask him to spare the life of Patrick Eugene Prendergast. 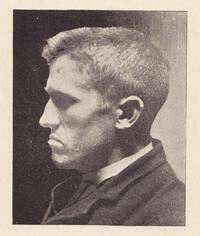 Prendergast was facing execution for the 1893 assassination of Chicago Mayor Carter Harrison. Photo from the "World Today" (1906).